The latest bad news about the consequences of epidemic childhood obesity involves livers. 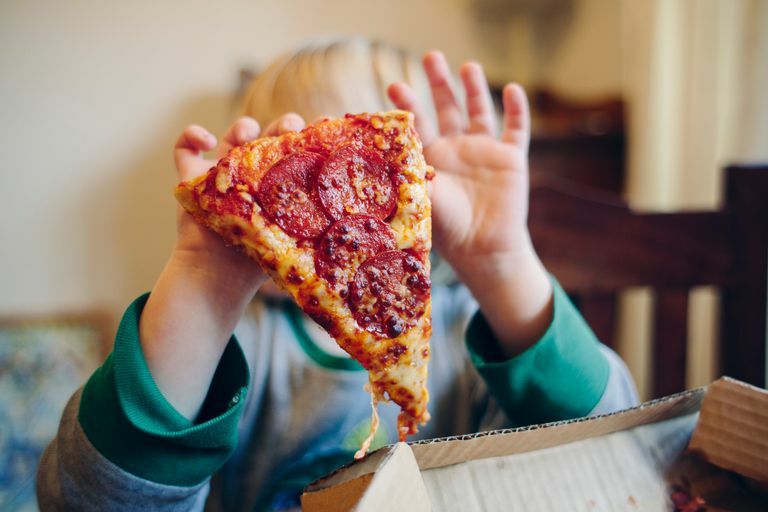 As recently reported in The New York Times, the rate of fatty liver disease in children is rising alarmingly, due to the increasing prevalence of severe obesity. The question for us all is why any more bad news would be required to evoke a full-scale crisis response, since the alarm bell has been tolling for years. And while livers may now be at stake, lives have been all along. For example, at the American Stroke Association's International Stroke Conference 2011, this bit of profoundly disquieting news was presented: A marked increase in the rate of stroke has been seen in children ages 5 to 14. As a physician who has seen far too much bad stuff happen to far too many good people over the years, I truly can't imagine much worse than a stroke in a child. Formally a "cerebrovascular accident," induced more often by ischemia and less often by intracranial bleeding, a stroke is to the brain what a myocardial infarction (heart attack) is to the heart: part of the organ dies. A child has a stroke and part of a brain that should be thriving, burgeoning with newly acquired experience and knowledge dies. And with it dies some function, perhaps the ability to speak, or the ability to move one side of the body. With it dies childhood. That this is a trend in modern epidemiology is both tragedy and travesty. The researchers involved did not know why stroke rates, declining in adults over age 50, are rising in children and young adults. The study in question, by investigators at the CDC, was simply a review of hospitalization records between 1994 and 2007. The analysis was designed to show what, but not why. But that does not preclude some educated guesses, by the researchers themselves and the rest of us. The decline in strokes in older adults is almost certainly due to better treatment of hypertension, the leading cause of stroke, and to a lesser extent modifying other risk factors for cardiovascular disease such as lipid-lowering with statin drugs. Such vulnerabilities are routinely being sought, found and modified in adults known to be in the at-risk group. But of course, stroke and ischemic heart disease are not expected in the pediatric age group. Historically, there has been no cause to look systematically for risk factors of vascular disease in this population, let alone apply the use of antihypertensives and statin drugs to avert calamity. It is nothing short of calamity that it has come to this. The researchers' best guess, and mine, is that the migration of stroke down the age curve is propelled almost entirely by epidemic obesity, diabetes and rising rates of hypertension in our children. Given our relative, cultural neglect of the underlying risk factors, the emergence of stroke as a threat to out kids was all but predictable- as is the increasingly prevalence of liver disease now in the news. Predictions need not be about what comes true. Grim predictions can motivate preventive responses so the adversities they foretell never materialize. Forewarned can be forearmed. I have, for years, been predicting heart disease as a routine, pediatric condition — in the hopes it would never come true. The logic behind my rather lonely rants on this topic has been quite straightforward. A group of experts in cardiovascular medicine called the Adult Treatment Panel of The National Cholesterol Education Program issues guidelines for health care providers in the identification and management of cardiac risk factors in our patients. Those guidelines tell us that we should treat our patients with diabetes as if they already were known to have coronary heart disease because the link between the two is so strong. When I went to medical school, I learned about two kinds of diabetes mellitus: juvenile onset and adult onset. What we now call type 2 diabetes is diagnosed more and more commonly in children under the age of 10. But less than a generation ago, this very condition was appropriately called "adult onset," because it occurred almost exclusively in overweight, middle-aged adults. If one chronic disease of midlife can migrate down the age curve to become a condition of childhood, what basis did we have to think that others wouldn't follow? What the Adult Treatment Panel says about diabetes in adults — that it can be assumed to signal heart disease — is true in children, too, until proved otherwise. We have little cause to think diabetes does different damage to small bodies than to larger ones. So, when 16-, 17-, and 18-year-olds have had adult-onset diabetes already for a decade or more, shouldn't we expect to start seeing them in emergency rooms with angina pectoris and myocardial infarction? I have long thought we should. And regrettably, I have had incremental indications over time that my predictions were coming true. Several years ago, I made my usual grave prediction on the advent of coronary disease in teenagers in Atlanta, Georgia, at an American College of Cardiology meeting there. One of the physicians in my audience told me she had heard that some 7,000 teenagers had heart attacks in the U.S. the year prior. I could not confirm that statistic, but there is more and more medical literature referring to this trend. I gave a talk in Missouri a few years back, after which a dietitian in the audience told me about a 17-year-old boy whose care she was involved in, who had undergone a triple coronary bypass. To the best of her knowledge, this boy had no unusual genetic predisposition to heart disease. Just obesity, type 2 diabetes at an early age, and the obvious, predictable consequences. When I started making a fuss about this 10 years back or more, my audiences were dubious and uncertain of my reasoning. More recently, they have seemed less stunned, more convinced and deeply concerned. Now they are starting to provide evidence to prove me right. This is a very unhappy trend. And frankly, while I was warning against the advent of angina as an adolescent rite of passage along with acne, even I didn't envision strokes in children under the age of 10 nor the threat of cirrhosis in children, never exposed to alcohol. We can change such trends, and protect our children and grandchildren from the heart attacks and strokes of unkind fate; we can protect both lives and livers — by becoming a society that honors feet and forks as master levers of medical destiny, rather than relying so heavily on stethoscopes, scalpels and statins in the aftermath of disaster. By doing all that is required to make eating well and being active lie along the path of least resistance. The list of interventions to get us there is long, but not complicated. Every policy or practice that isn't a part of the solution is a part of the problem — and a potential threat to a child. Vote accordingly. It is past time to answer the alarm with the urgency it warrants. It tolls and has long been tolling for us all.